Mysterious and questioning. 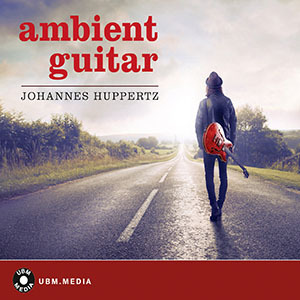 Ambient electric guitars form layers of sound. No beat. Modern pop sound, reflective and calm, like a lone drive through a beautiful landscape. Positive and dreamy track. Warm guitar sound for images of nature, family and good times. Neutral and serious, this track is ideal for science and technology programs that also require a bit of analog warmth. Trippy and a little psychedelic. Electric guitar jam in the vein of the great guitar heroes. Underscore, implying wide open spaces and steady movement. Somewhat scientific without being cold. Abstract minimal musicbed. Perfect for documentaries on nature, science, modern society and health. Subtle beat sets in at 0:57. Very relaxed and dreamlike. Suggests pictures of holidays and romantic evenings. Stroked chords over subtle drumbeat. Airy track with plenty of room. Modern combination of guitar and electronic elements. Laid-back, urban and smooth. Funky riff and a warm bass sound define this catchy track. Mysterious slow jam. Somewhat gloomy, deep in thought. Full of expectation, waiting, hesitant. Subtle guitar underscore for documentaries and current news topics. Calm and steady guitar theme with a hint of pop. Quiet beat and repetitive chord order. Natural drum sound and airy guitars result in a very dreamy track that emanates peace and relaxation. Playful, straight-forward and modern; ideal for science, technology, new media, advertisement and family-friendly programs. Repetitive guitar riff and electronic textures. Modern and neutral background.